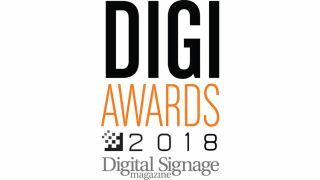 Entries are coming in– but the platform is still open for NewBay Media’s 2018 DIGI Awards, recognizing the Best Digital Signage applications and the Best New Products for the Digital Signage market. Deadline to enter is November 14, 2017. This year the DIGI Awards will be open to all digital signage installations completed between October 2016 and October 2017, regardless of the application or the number of screens installed. In the categories of New Products, the product must have been launched between Oct. 2016 and October 2017. The DIGI Awards is the only industry award program that recognizes the outstanding integrators, content providers and new product manufacturers for digital signage. In both my capacity as Chair of the Judges Committee of the DIGI Awards, and as Executive Editor of NewBay Media’s Digital Signage magazine, I’ve seen this industry grow by leaps and bounds the past decade. Last year’s DIGI entries reflected that growth, with a record number of entries, and this year will be even better.